Wellings and McNeill Score Rio Olympic Qualifications! 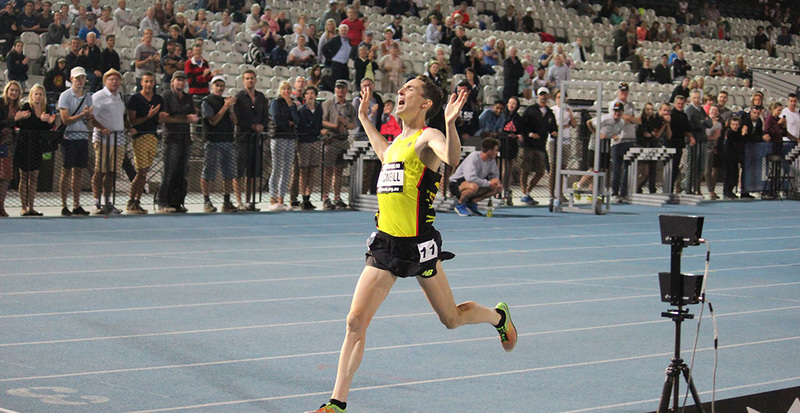 Duelling with his Melbourne Track Club training partner Brett Robinson (Vic, second, 28:24.49) and former college teammate Brian Shrader (USA, second, 28:33.22) across the course of the race, McNeill broke away inside the closing kilometre to take line honours. – Rosa Flanagan (NZL) ran 9:19.23 to win the Lisa Ondieki 3000m for girl’s aged under 20. The silver medal was won by Holly Campbell (NSW, 9:28.20) and the bronze by Katrina Robinson (Qld, 9:32.36), with both Australian results IAAF World Junior Championships qualifying performances.